Save the world, and broaden your portfolio! We are living in a dangerous world – one that’s filled with identity thieves, hackers, and cybercriminals of all types. While it’s true we cannot eliminate every risk they pose, we can take actions to protect our fellow men, women, and children. The first — and most important — step to achieve a safer tomorrow is to safeguard our identities today. And there’s no better way to accomplish this than by providing identity protection as an employee benefit. Of course, saving the world also has its benefits. 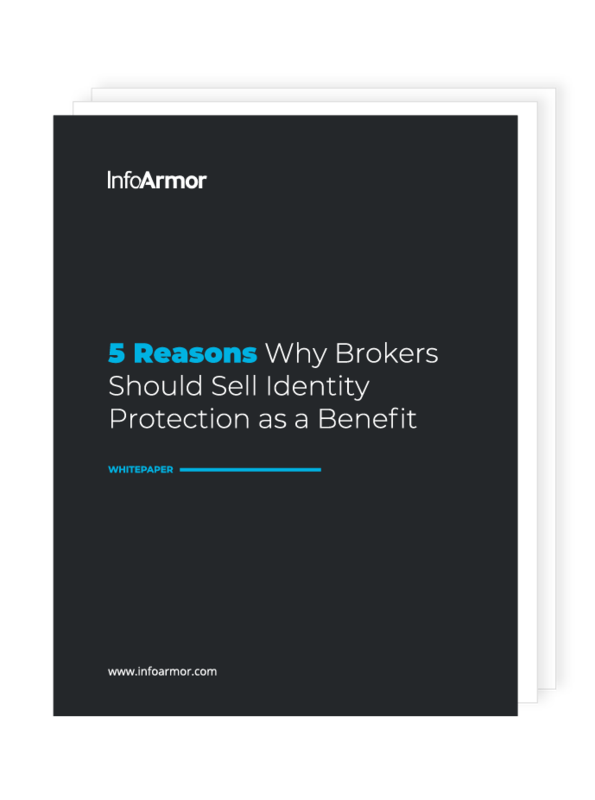 You can read about them in our complimentary white paper, 5 Reasons to Sell Identity Protection as an Employee Benefit. By learning more about you, we can offer the best possible service. In exchange for the information you provide, you don’t just get a valuable resource. You receive an improved browsing experience, complete with personalized content, and we may even send you helpful information from time to time. We take your privacy seriously and take every action possible to keep your information safe and secure. Yes! InfoArmor has spent more than a decade in the identity protection industry, and we want to share with you what we’ve learned. Hopefully, you’ll think of us if you need an employee identity protection benefit in the future.